It’s a new year, christmas is packed up and in the attic. Floors have been vacuumed and the house is back in semi-order. It feels good to start over, clean the slate so to speak. In January my thoughts always turn to gardening. It’s a cold day here, windy and I even saw a few rare snowflakes on my morning walk with the dog. I enjoy the gardening catalogs that come this time of year and now that the winter solstice is behind us every day is getting a little bit brighter for longer. 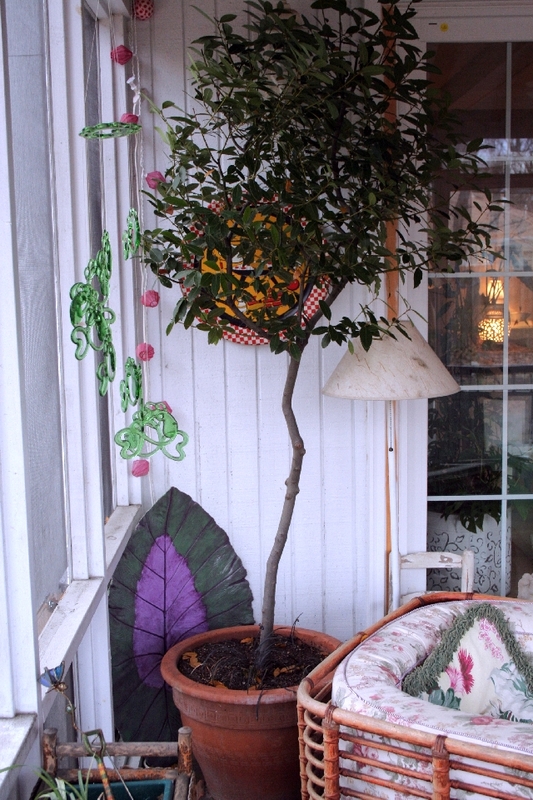 The houseplants have all been brought into the house or onto the porch. In my last blog entry I talked about my book collection. One of the books is about topiaries and I mentioned that I love to grow standards. This myrtle standard has moved around the country with me and I have had it for over a decade. In the summer it gets very full and is so green, lush and round. One year a big chunk of it died and for a long time we called it the death star but not anymore. It rallied back, it is a tough old thing. This is a bay laurel that I started from a 4 inch cutting. It needs some reshaping this year but I love the smell of the leaves and I cook with the bay leaves often. When I cut it back I throw the leaves in the trunk of my car when it is hot outside. Within just a few days they are perfectly dried and my car smells great too. This is an american boxwood and I was so excited when I found the starter plant for this. Usually in the market boxwoods have been clipping into a hedge shape but this one was tall with a nice central stem. This plant is 3 years old and is just beginning to have the hint of the proper standard shape. Boxwoods grow extremely slow and I really look forward to when this one fills out and makes a nice lollipop shape. Oh man, I can’t wait for warm weather. sigh. I love your new banner–it’s so pretty. I have my whole house all cleaned up for Christmas–now I just need to clean the bathrooms–yuck. I have two boys in the house (not including hubby) and one is potty training. 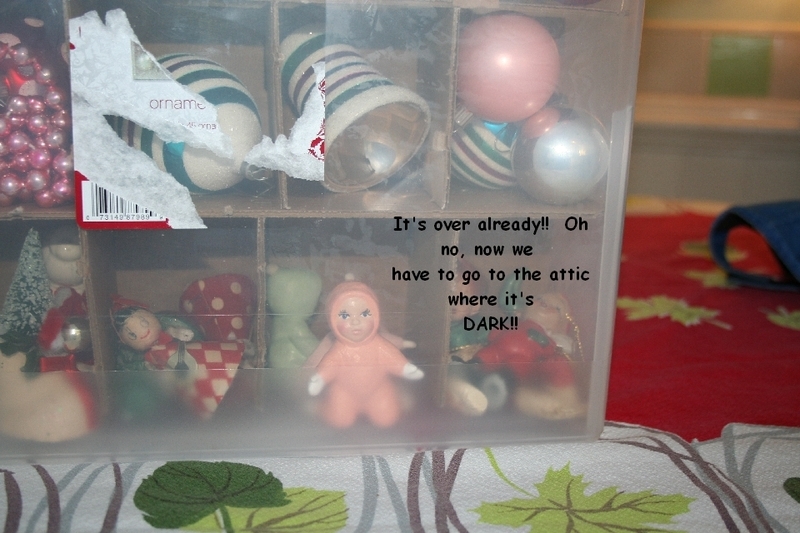 So funny – I always think the same thing about my ornaments going back in the dark attic! Good for you packing up christmas already. I am doing mine on the weekend. I love how christmas looks and feel a bit sad taking it down. 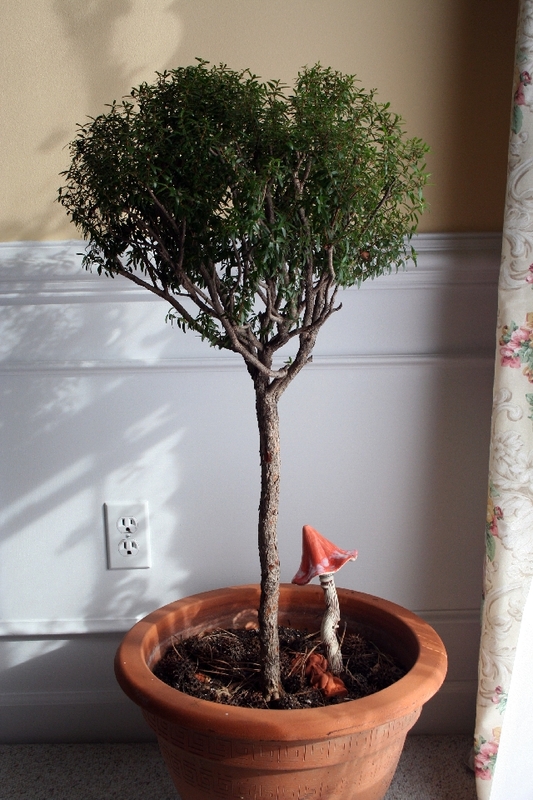 Love your topiaries – well worth all the effort you put into them. I’m with you on the wish for warmer weather. It will be a while in my neck of the woods. If you’re finished putting away holiday decorations already, you’re way ahead of the game. these pictures are beautiful. those trees are amazing. i can’t wait to get my hands dirty in out gardens this year, but it seems i will be waiting for quite a long time! My tree is still up! hahha….but you saw why. we have been finishing up on the bathroom and I have no motivation or energy left to do much else…plus no time. Only so many hours in a day..no matter the tricks I try to manufacture more.